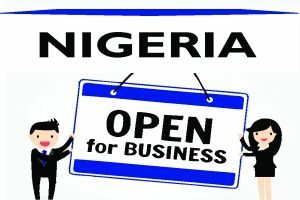 Making a Will or Living Trust: Importance and advantages of - Law Firm in Nigeria - Lawyers in Nigeria. Some persons might feel reluctant to write a Will because to them, it may signal that they are anticipating their death. However, in reality, death is no respecter of persons. Both young and old persons can die at any time. Death is an inevitable occurrence for everyone, and no one knows the exact moment of his departure from this world. The following is an outline of how making a Will is important to your being able to order the state of your affairs after your demise. Without a will, you cannot be sure who will take over your property or administer your estate. Naming specific impartial person(s) that you trust as your Executor or Co-executors will afford you the peace of mind that your property will be administered or be shared and distributed in accordance with your wishes as contained in your Last Will. You want to choose executors who are suitable and who are likely to best represent your wishes. Your Executors will be responsible for making sure your wishes are carried out. A Will drafted by a Solicitor with specialty in Testate Laws will without ambiguity clearly outline your wishes for the administration of your estate or the distribution of your money, property and belongings after your demise to your designated beneficiaries. This will avoid the occurrence of family tensions, disagreements and bitterness over your estate. A Solicitor will take into consideration your testamentary freedom, or the law that enables certain of your dependents to be entitled to reasonable financial or customary provision. If reasonable financial or customary provision is not appropriately made, a dependent can challenge the distribution of your estate under the applicable Wills Law. So, you should seek legal guidance from a Solicitor when writing a Will. If you die without a Will, you cannot be sure how your legacy or property will be managed after your demise. By making a Will, you can create a testamentary trust or appoint executors who you have confidence in to being able to making sensible decisions in the discharge of your wishes as contained in your Last Will for the proper management and utilization of your legacy and assets. The trustees or executors do not necessarily have to be family members or friends, they can be Solicitors or institutional asset managers licensed by government. 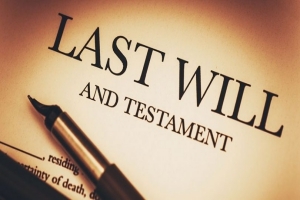 Without a Will, your estate will be subject to the Laws of Intestacy, which means the persons you would ordinarily want to receive an equitable share of your estate may get nothing, while others may hijack your estate to themselves. By making a Will, you can be rest assured that your loved ones and the most vulnerable amongst them will gain financial security and a fair share of your estate as provided for in your Will. You can set aside money in a trust fund for your underage children. If you are embroiled in a divorce proceeding where decree absolute is yet to be ordered by the court, your estranged spouse can never lay claim to your property where you have effectively excluded him or her in your Will. Without a Will, your estranged spouse will be entitled to the Letter of Administration over your estate after securing same from the Probate Court. If you die leaving a Will, members of your family will not have to resort to fight dirty over your property in an expensive court litigation process to claim your estate. The judicial process for the Grant of Probate to the executors you appointed in your Will will be faster and cheaper devoid of acrimony. Your Will is a legal document in which you set out what you want to happen to your assets (property, belongings and money) when you are no more. It is filed at the Probate Registry and will be read after your demise. It names the persons who will receive the assets you own. It declares your solemn wishes for your family, friends and the society at large. Your Will becomes a public record after your demise and available for search at the Probate Registry by any interested party who would want to know how you had wished your interests to be protected or how you want your affairs to be managed. You can give specific instructions concerning your funeral arrangement in your Last Will and specify how your executors are to manage your burial ceremony. If you die without leaving a Will, you cannot control how your assets and estate affairs will be managed or dealt with. Your estate may be completely turned apart by unscrupulous family members who have no interest in the sustenance or maintenance of your legacy. This has the tendency of jeopardizing your stakes, defeating your actual intentions for your loved ones and occasioning family disputes. However, with a Will you can be rest assured that your wishes will be carried out. A Will which expresses your wishes as to what should happen to your estate after your demise only takes effect after your demise. You can amend a Will through a codicil, or revoke it entirely, or make a new Will at any time during your lifetime to reflect your most current wishes and new property acquired. So, you are at liberty to make a periodic review of your circumstances and amend your Will to reflect the changes and to represent your interests. A Will filed at the Probate Registry of a state will be valid in any other state of the federation in which you own property or in which your death occurs. All the advantages and benefits of making a Will listed above can only come if you leave a valid Will that cannot be challenged or disproved after your demise. Your Will gives clear instructions about how you want your assets to be administered, managed, shared or distributed. Laws regarding Testacy do vary by states, so it is important you seek proper legal guidance and legal help from a specialist Solicitor to enable you make and sign a valid Will in your jurisdiction to avoid future problems in its execution. For discussion about planning your estate and to make and file a Will, request in-office consultations on – Telephone: 08187019206, 08039795959 | Email: edoabasi.udo@lexartifexllp.com | Website: www.lexartifexllp.com/consultation. The permission given to freely copy this article is only on the condition that BARR. EDOABASI UDO is referenced and duly acknowledged as the Author using the following format: “This article was written by Barr. EdoAbasi Udo. View the original article at http://lexartifexllp.com/making-a-will/”. Note that any copyright infringement shall be punishable under applicable law.